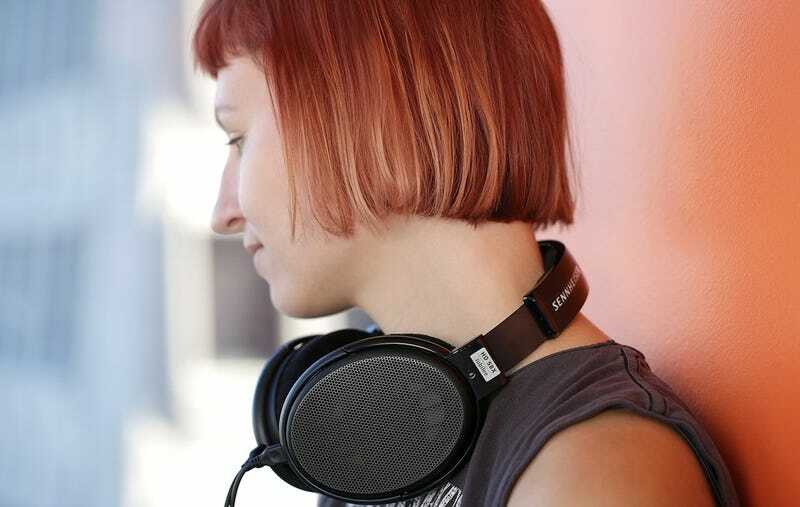 Back in 2016, Massdrop’s HD 6XX, which was basically just a blue version of Sennheiser’s legendary HD 650 for way less money, blew a hole in the barrier to entry for audiophile-quality open-ear headphones. The HD 6XX repeatedly sold out before getting all the way down to $199. Well, the HD 58X is here, starting at $150. For most people, the Massdrop x Sennheiser HD 58X Jubilee Headphones are not going to sound wildly different than anything else in the HD 600 family by any metric. They’re the brightest of the bunch, the easiest to drive, not for bass heads, and fast. They’re also more interesting than the 6XX from an audio perspective, as they use a set of drivers new to the HD 600 family. Ultimately, the differences are slight. The $150 ante and ease of driving the 58X makes it easier than ever for newcomers to get a foot in the door of better audio, and veterans are already in the comments section of Massdrop talking about switching between the 58X and its HD 600 siblings depending on the track. The fact that we’ll likely see the Massdrop x Sennheiser HD 58X Jubilee Headphones eventually get down to $99 is just amazing.